What has always been local and sustainable, is one of the oldest food industries in Northern NY and is exclusively made in only a few areas of North America? It’s our “Liquid Gold” – maple syrup. Now that it is maple syrup time it makes me thankful for yet another wonderful food source available to us here in the "North Country" region of the Adirondacks. It has been used as a sweetener and health food for centuries, and is part of the North Country mantra – a sign of warmer weather – flowing sap means spring! A website that lists 125 of the “healthiest foods” calls maple syrup “one of the many wonders of the world.” It gives maple syrup credit for a healthy dose of both manganese and zinc – trace elements good for your immune defense, the health of your heart and - men – you need to check it out for the health of your prostate! It is agreed that TOO much sugar of any form, even natural, is not a particularly good “health” item. But let's face it – sweet IS one of our major taste sensations is it not? Did you know, that in 2011, the University of Rhode Island identified 54 beneficial compounds in maple syrup, five of which have never before seen in nature? These compounds have anti-inflammatory properties, which prevent illnesses including heart disease, diabetes, cancer and Alzheimer’s. And in comparison to honey, maple syrup contains fewer calories and has a higher concentration of minerals. While cost can certainly seem a factor today even here where it is produced, don’t forget to go with the seasons and make a one of a kind meal for family or friends using maple syrup. It is stated that one-gallon weighs 11 pounds and is made from approx. 40 gallons of precious sap! So as most people know, it takes a lot of sap to make a little of the product – but like any really good food – a little goes a long way. Think “out of the breakfast box” when using maple syrup. 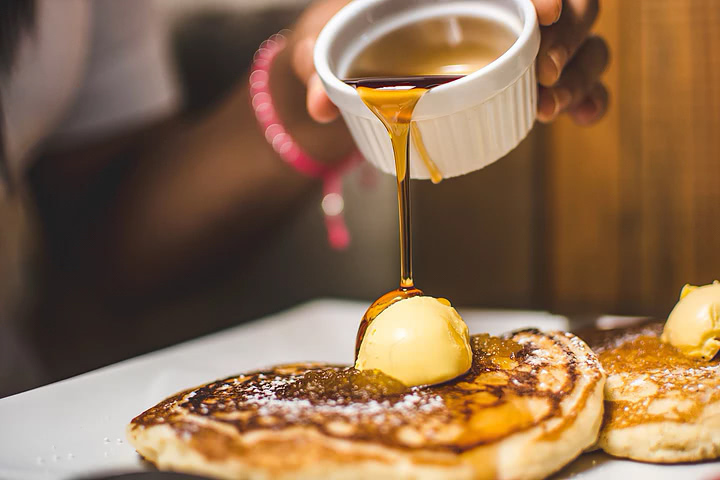 While a great pancake is only made greater when served with the “real thing” (pancake syrup in the store can not even come close) – there is much more to maple syrup than breakfast. Maple sugaring at the Paul Smiths VIC: VIC Sugar Bush. Photo by Tom Boothe. 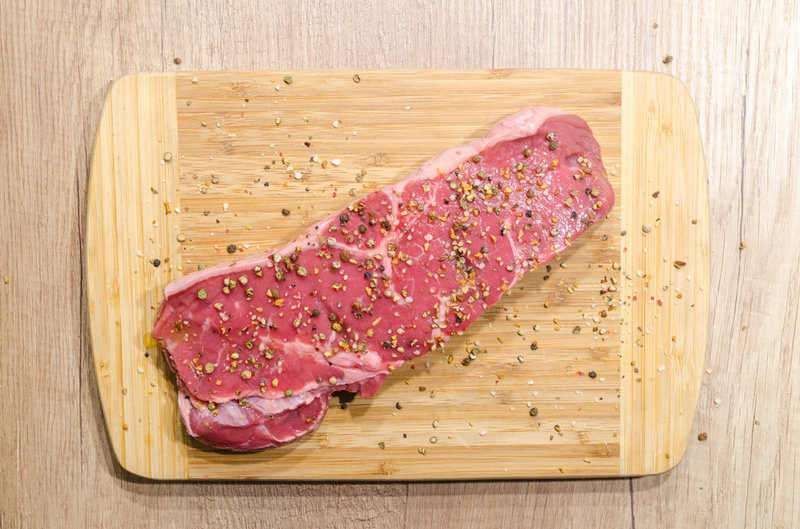 You can use it as a marinade for fish or meat, or to glaze & caramelize vegetables. And desserts are a given – maple ice cream, maple pudding (with local fresh eggs- yum!) and even maple poached pears. Then there is maple fruit bread, maple BBQ ribs, maple glazed carrots – the list goes on. And please, don’t microwave. Nature made it perfect - don't change the molecules! Experiment with replacing the present sweetener in some of your recipes with maple syrup. To substitute for sugar in cooking, generally, use only 3/4 cup maple syrup to each cup of sugar. To substitute maple syrup for granulated sugar in baking, use the same proportions, but reduce the other liquid called for in the recipe by about 3 tablespoons for every cup of syrup and add 1/4 teaspoon baking soda for each cup of maple syrup used. When maple syrup is substituted for all sugar in a recipe, reduce the amount of liquid used by one half, if maple syrup is substituted for half the sugar, reduce liquid amounts by one-fourth.” Baked goods made with maple syrup should be baked at a slightly lower temperature than the same recipe using granulated sugar. It is a "seasonal" food from nature, so after a long winter of cold, one deserves one of the purest freshest foods of spring. You can stay at The Lake Clear Lodge and visit many of the maple producers nearby. The Paul Smith's VIC offers programs or you can visit the VIC's sugar house and you can even sponsor a tree. For many more in this region see The Maple Weekend site. 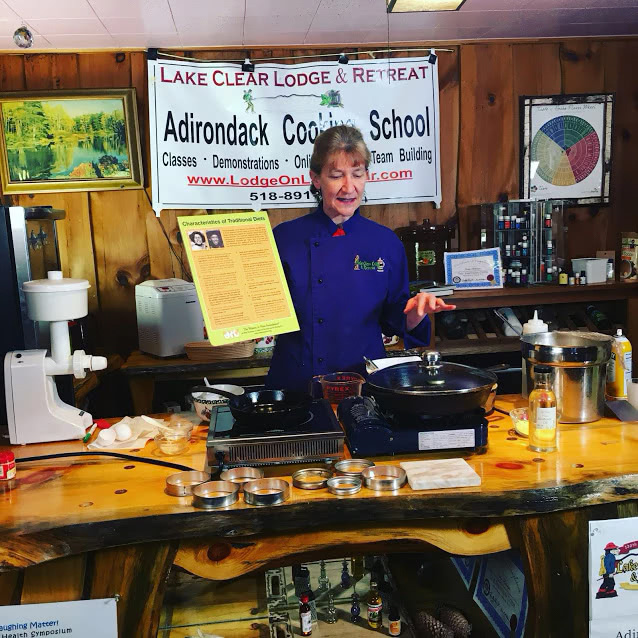 The Lake Clear Lodge and Chef Cathy offer maple cooking classes (online and onsite) both at "maple time" and as part of the Stay Packages and throughout the year. Check them out. Maple sugar candy has a semisoft texture and fabulous flavor, is made from the syrup that’s boiled, cooled, stirred and poured into molds. Maple sugar blocks are more granular and can be chipped or shaved and added to cereals or beverages. Granulated maple sugar comes from the syrup that is boiled, cooled, stirred and sifted. It makes a wonderful addition to baking and beverages. Pure (natural) maple extract is a flavoring made from alcohol and sugar maple tree oils. It adds maple punch to baked goods, frosting, and fudge. Imitation maple extract uses synthetic ingredients to create a flavor similar to pure maple extract.